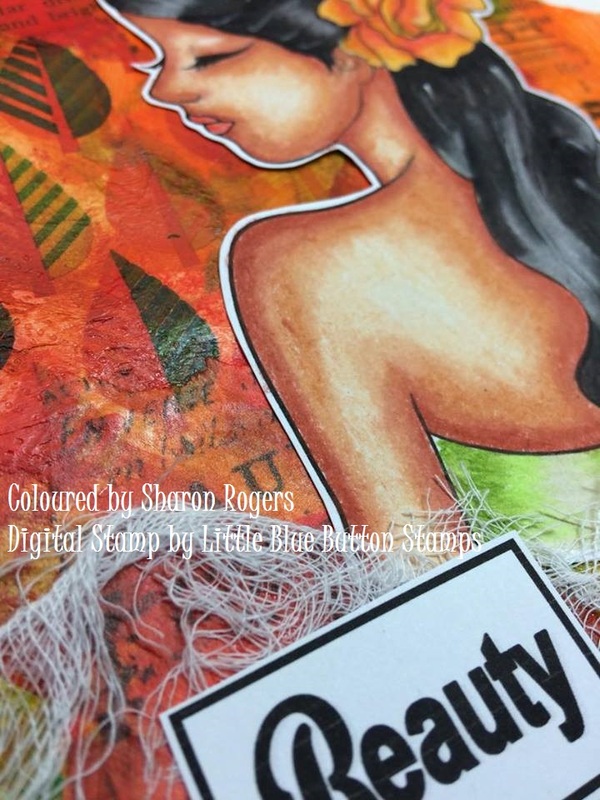 Today I am sharing my first creation which is a mixed media journal page using one of the fabulous “Mixed Media” digi stamps named “Pin Up”. 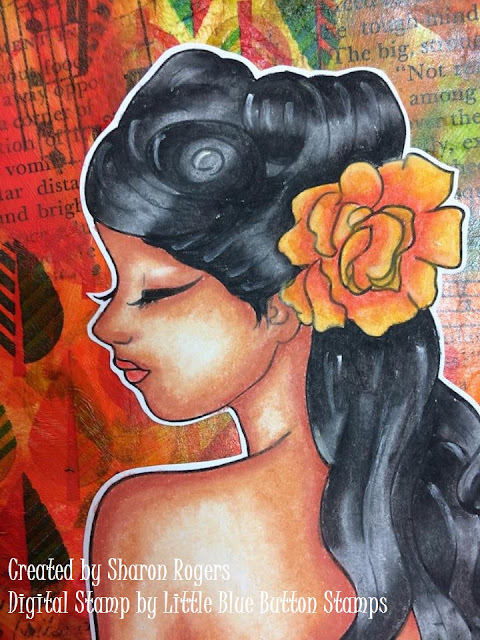 I love this style of image to colour and add to journal pages and I’ve included some pics to show you how I created my page background so you might feel inspired to have a go yourself! I started by adding Gesso to the entire page just to give the page a surface to work on and prevent any ”leakage” to the other side of the page as my journal is not a super expensive high quality one! 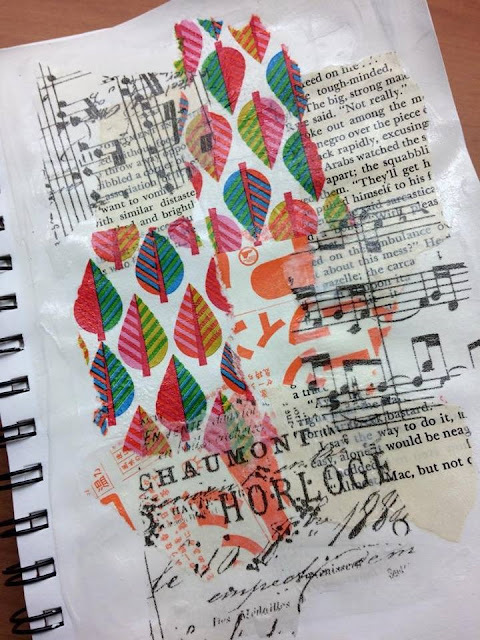 Then I used Gel Medium to adhere scraps of old book pages, patterned paper and tissue paper to the background. 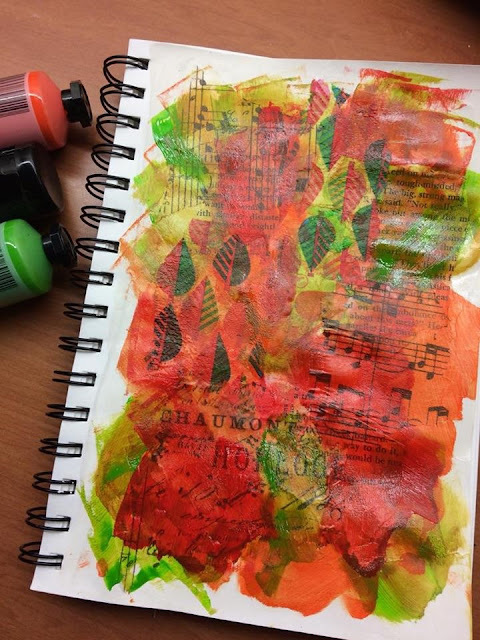 Once the Gel Medium was dry I added small “blobs” of green, orange and red acrylic paint randomly over the page and used a sponge to spread the paint – be careful not to make “mud” by blending the colours too much!! And don’t make the paint too thick – you want to see the text and patterned paper underneath. Allow to dry. 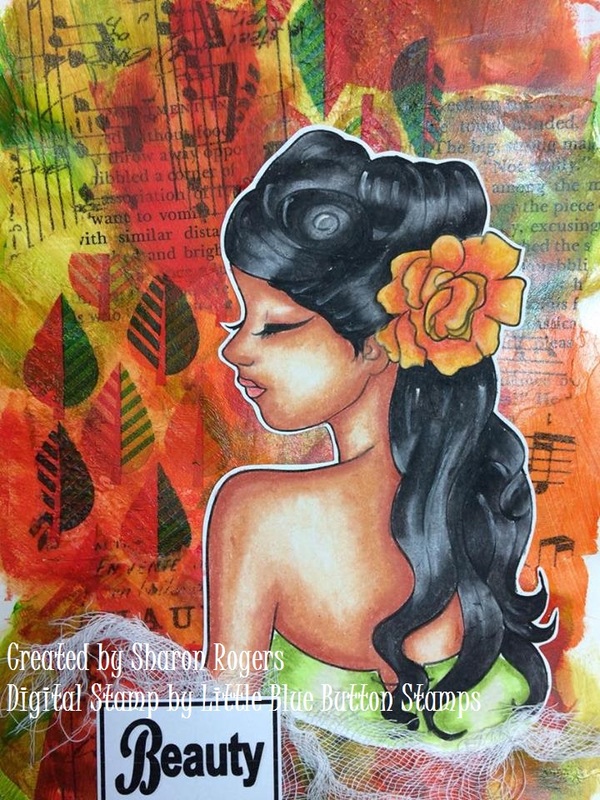 Now your background page is ready to add the image and any other embellishments you like. 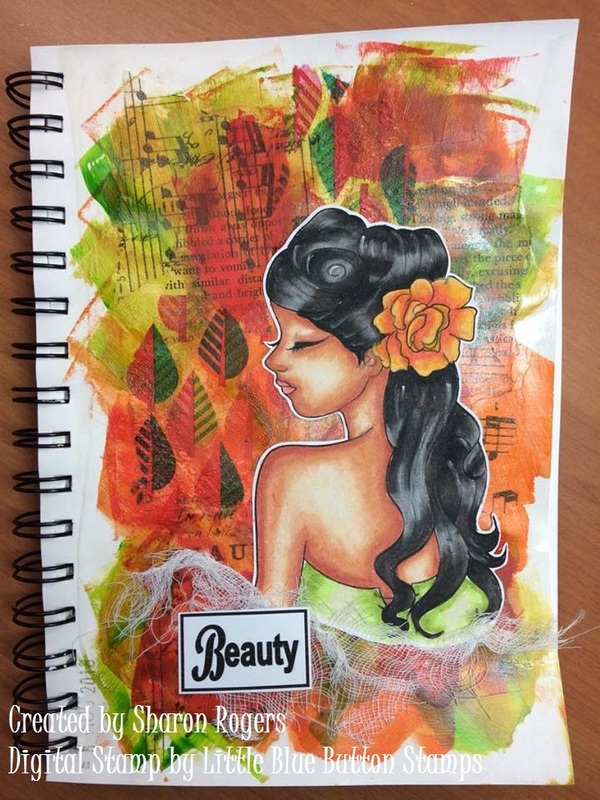 I computer generated the word “Beauty” and that was the only extra I added besides the scrap of muslin cloth. 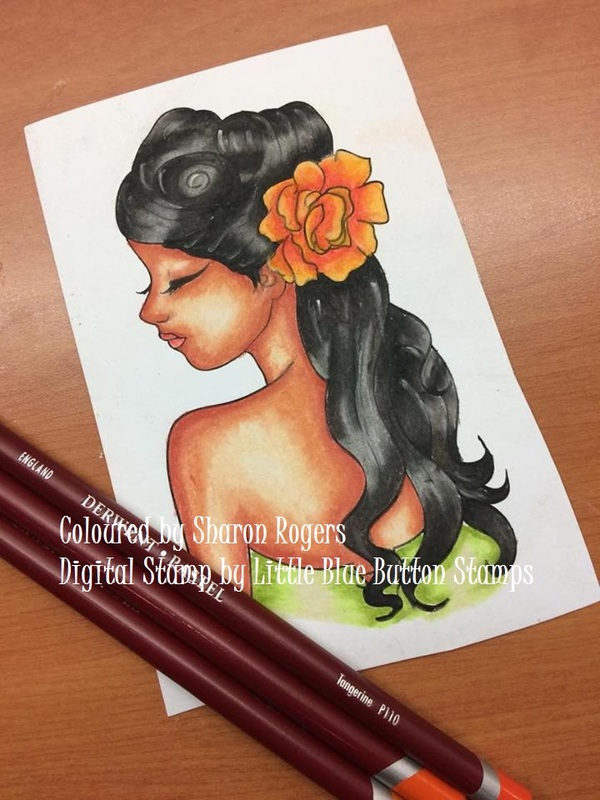 I love the rich Autumn colours of this page and the digi by Blue Button Stamps is really the focus of the page – such a beautiful image. 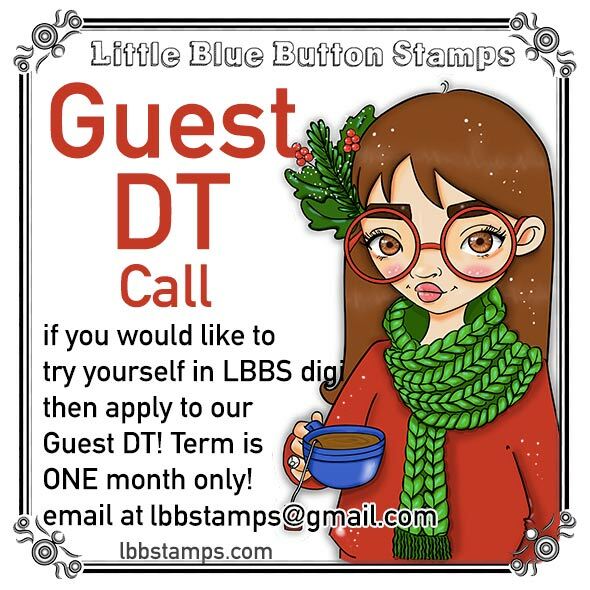 I hope you like this page and feel inspired to create your own page with one of the huge range of digis available! I’ll be back again to share some more creations again this month!